Although volatile organic compounds are present in air, they can be found everywhere. An array of sources, ranging from plants and household cleaners to cooking fuels, releases these compounds directly. In addition, volatile organic compounds can be formed in the atmosphere via an intricate network of photochemical reactions. At Sandia National Laboratories, researchers together with colleagues from other institutions studied the reactions of methylperoxy and hydroxyl radicals to comprehend their effect on the ability of the atmosphere to process pollutants. Reported in Nature Communications, the study demonstrated that the reactions can affect the levels of a major chemical marker used to gauge the understanding of the processing and profusions of pollutants. This eventually helps in understanding the way both human activity and nature impact the atmosphere’s chemical composition. Latest studies performed in this field had pointed out that methylperoxy reacts with the hydroxyl radical more quickly than previously believed, and hence this reaction can possibly redefine the present interpretation of chemistry in the Earth’s atmosphere as well as low-temperature combustion. Considered as a critical molecule in atmospheric chemistry and combustion, the hydroxyl radical triggers the processing or oxidation of pollutant molecules and fuel. When a reaction occurs between this radical and fuel molecules in the presence of oxygen, it leads to the formation of a novel class of radicals called peroxy radicals. Within the Earth’s atmosphere, when reaction occurs between the hydroxyl radical and methane—the most abundant hydrocarbon and also a greenhouse gas—methylperoxy is formed. According to Rebecca Caravan, lead researcher of the new collaborative effort and a Sandia postdoctoral appointee, studying the resulting reactions of peroxy radicals is important for interpreting low-temperature combustion, because the extent a fuel will undergo auto-ignition is determined by the fate of the peroxy radical. The investigators, on their end, wanted to know how the reaction of methylperoxy and hydroxyl radicals can possibly affect this—for instance, whether auto-ignition can possibly be prevented because of the production of comparatively unreactive chemicals and the removal of reactive radicals. Determining the impact of any specific reaction within any given environment requires knowing both how fast the reaction occurs and the products of the reaction. Carefully quantifying the products is often the more difficult task. A relatively small change in these reactions can significantly change the magnitude and even the direction of the impact a reaction has in a given environment. Latest hypothetical work pointed out that oxygen and methanol could be a potential product of the methylperoxy and hydroxyl radical reaction. It is believed that these products may have a considerable impact on decoding the chemistry in the planet’s troposphere—the part of the atmosphere between 0 to 10 km (6 mi), containing about 75% of the atmosphere’s mass. According to Caravan, atmospheric modelers have traditionally and considerably underpredicted methanol in the troposphere. Since methanol can be formed from various sequences of oxidation reactions in the Earth’s troposphere, it is important to understand the way chemical reactions play a role in the levels of methanol in the atmosphere and this, in turn, can provide a better insight on how hydrocarbons produced by both human activity and nature are processed by the atmosphere, thus helping in understanding the effect of both on the atmosphere’s chemical composition. We recognized that our fundamental measurements of methanol yield from the hydroxyl radical and methylperoxy reaction could have an impact on modeled atmospheric methanol abundance, so we brought in modeler colleagues who could focus on those consequences of our investigations. The difference between measured and modeled methanol is especially important in the remote troposphere—regions that have comparatively limited impact from human activity. According to Dwayne Heard, professor of atmospheric chemistry at the University of Leeds in the UK, there is a need to understand these regions before human changes can be figured out. We know that changes in man-made emissions are leading to a warming of the atmosphere and a deterioration in the quality of the air that we breathe. However, set against this are natural, dominant processes that occur everywhere—for example, over the oceans where there is relatively little influence from humans. Radical-radical chemistry studies are quite complex; it is important to understand the various side reactions together with the reaction of interest. In order to address this, scientists from NASA’s Jet Propulsion Laboratory and Sandia National Laboratories used the Advanced Light Source at Lawrence Berkeley National Laboratory and the well-known capabilities at Sandia’s Combustion Research Facility. The Sandia Multiplexed Photoionization Mass Spectrometer instruments, devised by Sandia researchers Lenny Sheps and David Osborn, were used by the scientists. 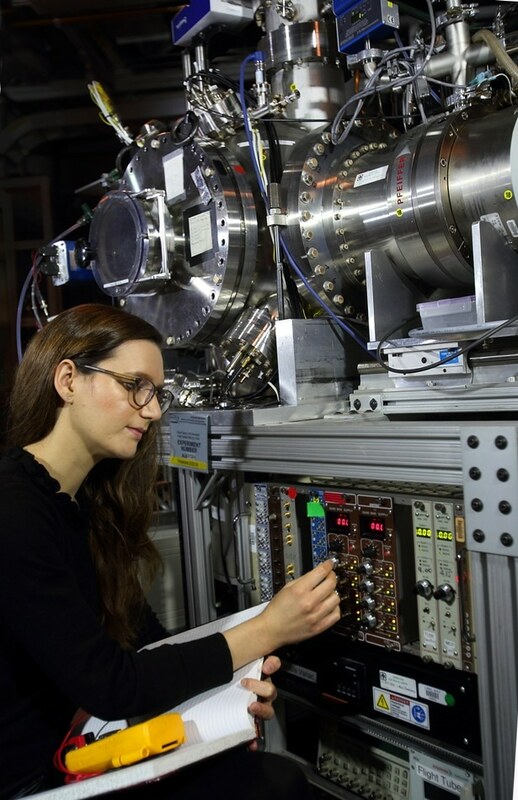 In addition, the team was able to view and define the chemistry as well as reaction products using the tunable vacuum ultraviolet (UV) ionizing radiation from the Chemical Dynamics beamline at the Advanced Light Source. Subsequently, the investigators worked to understand their experimental observations through calculations and models. In collaboration with partners at the University of Lille in France, who applied their atmospheric simulation chamber, the investigators analyzed the role of extended timescale chemistry on the reaction products. Other team members at the UK-based University of Bristol applied a global chemical model to evaluate the experimental outcomes on the troposphere. “It was a highly collaborative, international project with each party bringing their own world-class capabilities,” stated Caravan. The Department of Energy’s Basic Energy Sciences Office funded the Sandia team. NASA and British and French agencies supported the paper’s co-authors. Thanks to this collaborative effort, it is now known that the rapid reaction with the hydroxyl radical removes about 25% of methylperoxy radicals in the troposphere, which means that fewer peroxy radicals experience other reactions that are known to result in the formation of methanol. In order to offset that, the methanol resulting from the reaction between methylperoxy and hydroxyl radicals would have to be roughly 15%; however, the authors’ measure yields in the range between 6% and 9%. The implications of this outcome on the interpretation of tropospheric methanol are important. The discrepancy between lower modeled and higher measured methanol abundances is not resolved by the methylperoxy and hydroxyl radical reaction; as a matter of fact, this discrepancy is currently exacerbated. In remote areas, methanol is presently underpredicted by about a factor of 1.5 in the atmosphere’s global models. This work highlights our incomplete understanding of key tropospheric chemical reactivity. We are missing significant reactions, opening the door to further investigation. According to Alexander Archibald, an expert in the field and a Cambridge University professor, the experiments headed by Caravan show that methanol has more secrets to unravel. While the reaction between methylperoxy radicals and hydroxyl radicals may not be a major source of methanol, models still underestimate the amount of methanol. The exciting work that Caravan and co-workers have performed closes one chapter in the story, but the book remains unfinished. Further work is required to help complete our understanding of this important compound in the atmosphere.